Walking through the mall yesterday I was marveling at the beautiful teen voice that penetrated the massive hallways. Barely able to walk through the throng of people to see who this incredible girl must be, the music stopped and the next set of performers were beginning their dance moves to a different holiday carol. The magic of Christmas filled my mind with memories of my own kids participating in holiday performances several years ago. The parents were no different today than they were when my kids were in middle and high school. Cameras were held high capturing the events. And I paused wondering how many of those pictures and videos would end up on social media platforms. It’s natural to want to share to the world our children’s success. Facebook and Instagram make it easy to share pictures with Grandma who is hundreds of miles away. It’s a way to help her feel connected to her loved ones. Yet, as we go into the Christmas season, I hope you’ll stay with me for a moment as I share some results from recent studies reported by CNN, KQED, and The Guardian that have come from countries such as UK, Denmark, and Germany. We dare to compare and so do our kids. All the success we see on the social media platforms says “we aren’t measuring up” or “our kid isn’t measuring up” which can instill envy-inducing incidents. Teens who are on social media on a regular basis are three times as likely to get depressed around the holiday season because they are comparing themselves to others and envy becomes a constant struggle. Our kids feel a sense of “FOMO” — the fear of missing out. In addition to a feeling of missing out, Instagram in particular was shown to have a negative affect on sleep patterns and body image as well. Snapchat, too, seems to rank a close second to Instagram in negative impact on the mental health of our teens. People who took a break from social media for a week felt less sad and lonely. Let’s face it. When our kids were younger they could be content because they didn’t know what they were missing out on. Now that they can see what everyone else is doing with the touch of a screen, they are developing an over-desire to be like their friends and have what their friends seem to have. Teens can turn a simple picture they receive into an idea of something that they can’t live without. And because our teens have been sheltered from disappointment they aren’t just disappointed when they see their friends together smiling and having a good time, they tend to be devastated. Be proactive and talk about the problems with social media. Let them know that social media fills a void. What void is your teen trying to fill? As a parent, try to understand what that is for each of your children. Let your kids know they can talk to you when they are going through “FOMO”. During those times take time to listen and commiserate with them. Take a family break from social media. Yes, Mom and Dad as well. Even if it is just around the table playing board games, take time where you are all fully engaged. We live in a digital world and taking the stance that our kids can’t have access to it could become devastating to their social interaction; however, as parents, we can put limitations on it in a way that says that social media has its place in moderation. In fact, one study pointed out that YouTube is one of the few platforms that seems to have a positive affect on our teen’s mental health. I am the good shepherd: I know my sheep and my sheep know me…My sheep listen to my voice; I know them and they follow me. Dare you to pray and listen to His voice as you decide how to handle social media with your tweens and teens during the Christmas season. Be sure to have discussions about the pitfalls of envy and the fear of missing out. 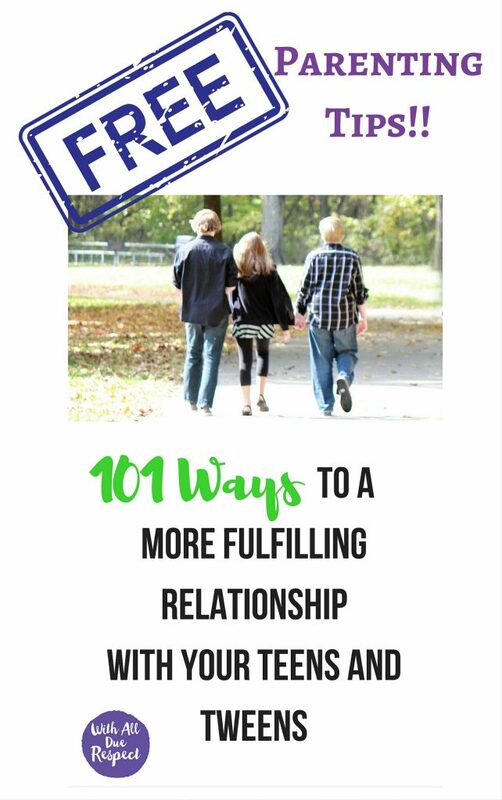 Want to learn how to keep conflict to a minimum with your teens and tweens? Tired of the mouthiness and fear of what the future may hold for your child? 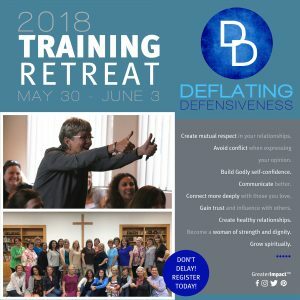 Register now and join other women who want to learn how to Deflate Defensiveness in their relationships! 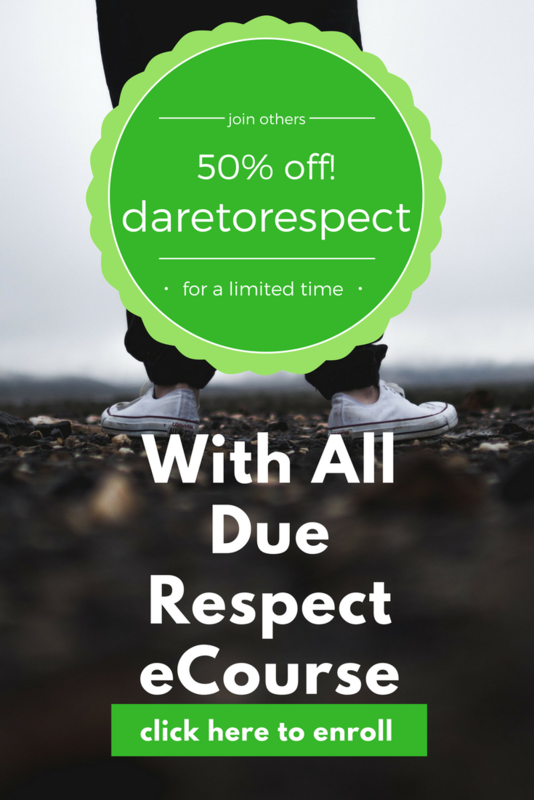 We’re professional trainers who want to help women improve their relationships and we’ll give you the skills to do it. Join us in the suburbs of Cincinnati, Ohio in June. And be sure to register before December 31 to get the greatest savings.